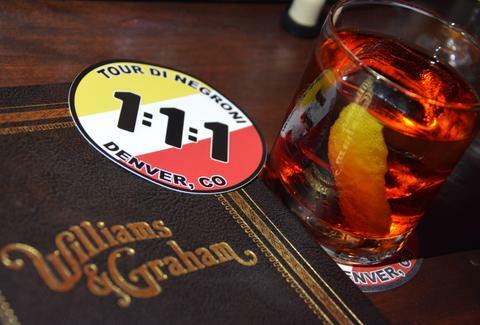 The classic cocktail joint, conveniently hidden behind a bookshelf, is contributing to the tour by offering a Negroni that features equal parts Bombay Dry Gin, Campari, and Carpano Antica Formula sweet vermouth. 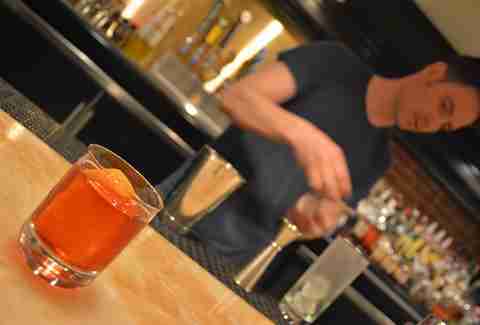 After downing one (or more) of those, check out their own unique variation, a white Negroni. Offering much more than amazing Brussels sprouts and a wicked game of ping pong, the bar staff at Ace is spinning up a ‘groni that features limited-edition Martini Gran Lusso sweet vermouth as well as Bombay London Dry Gin. Their house variation, however, is the one not to miss -- Count to Three features Bols Genever as well as house-made Ace Bitter Lemon Soda. Knock a few back and then test out that gnarly backhand serve that you think you totally have down. 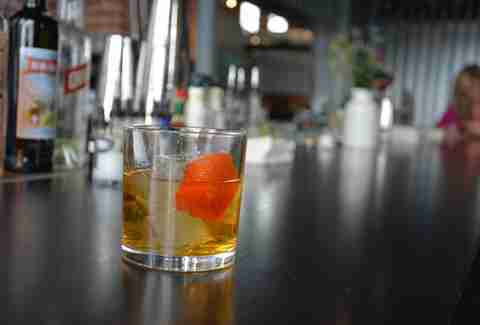 The Platt St bar and eatery is going crazy for the Tour by dreaming up their ode to the classic with their own house-blended sweet vermouth. They continue to go pazzesco (crazy) with their signature twist that features house ginger beer, pilsner, and a whole lot more. Definitely not one to miss. 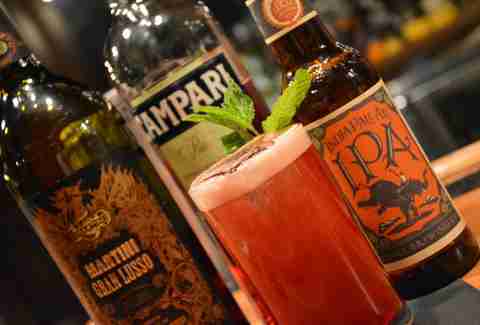 Everyone's favorite resto in The Source is stirring up the classic with Sapphire East gin, but the one to order is their earth, wind, and fire-inspired Piemento Rose made with Dimmi and Lillet Rose. Drink first, ask questions later. 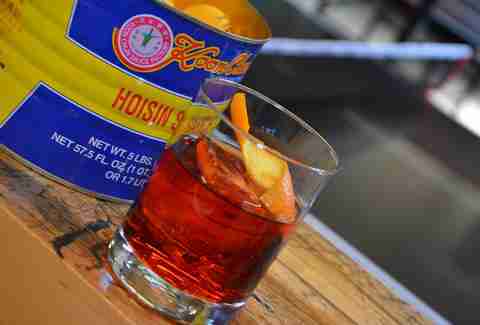 Although we featured five, there are many, many more Negronis to be had. Get all the info on the month-long celebration here. You’ll be happy you did.